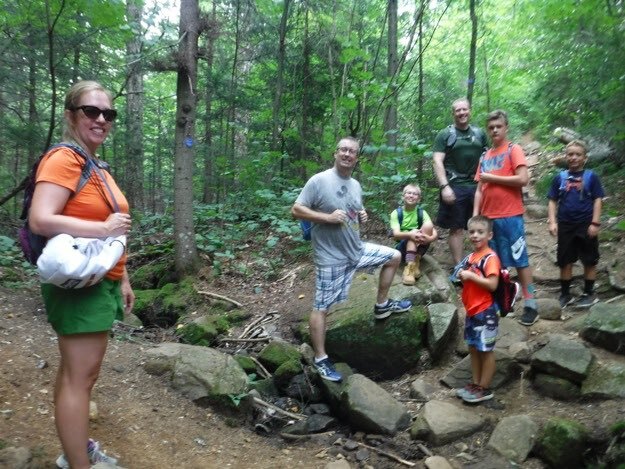 This might be one of the best-kept secret gems of the Adirondacks. 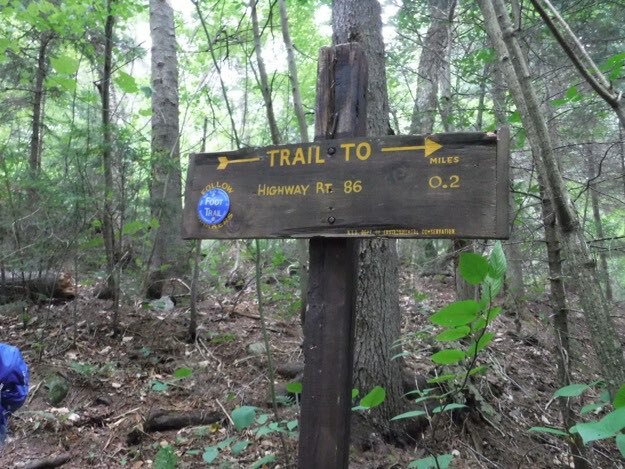 We’ve driven past this trailhead on route 86, (near Wilmington Notch) probably 50 times or more over the years, and never once considered hiking this. After we did it, we couldn’t believe we waited all these years! 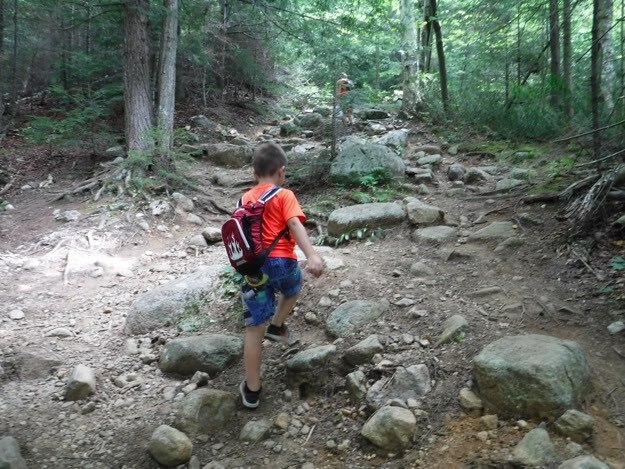 It’s a steep 0.5 mile hike up to the top of a ridge, then maybe another 0.2 miles to the pond, (approximately 0.7 miles total). 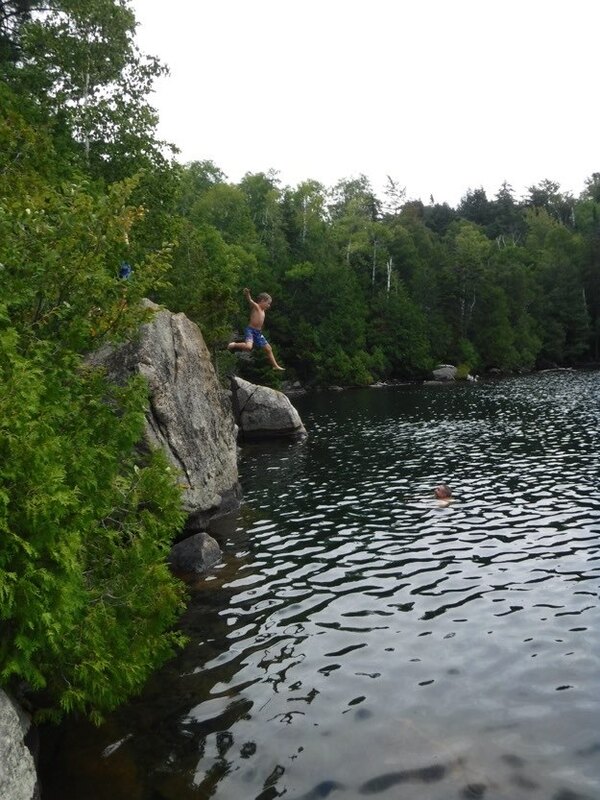 Once you meet the pond, hang a right, and you’re at an amazing large boulder, perfectly situated for a 10-foot jump into deep, deep water. This pond defied all expectations. It was warm, deep, clear, seaweed and algae-free. It was, in fact, pristine. This was the perfect place to go cool off on a hot summer day. After we had jumped into the water for over an hour, we went a bit further up the trail to a lean-to, and had some snacks, before returning to the cars. Even though you have to really earn the swim that first half-mile, it is highly recommended! Bring your bathing suit! 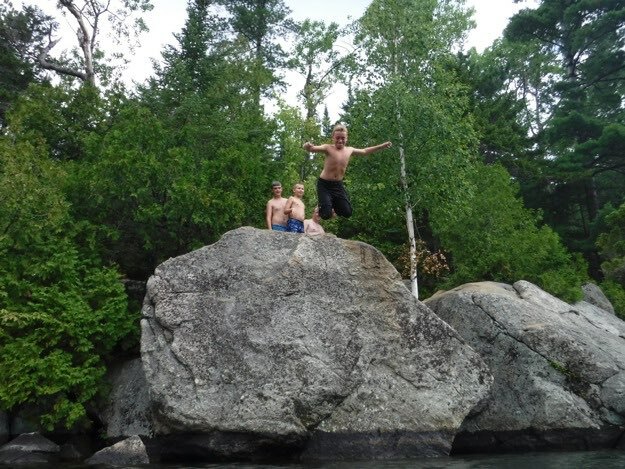 Here I am, jumping off the boulder/cliff, into gloriously clear and deeeeeeeeeeep water. My youngest son Nate somehow got up enough courage to jump in, (with a little prodding from in the water by his water-treading father). In the water nearby, there’s a submerged tree, that Alex precariously balanced on. 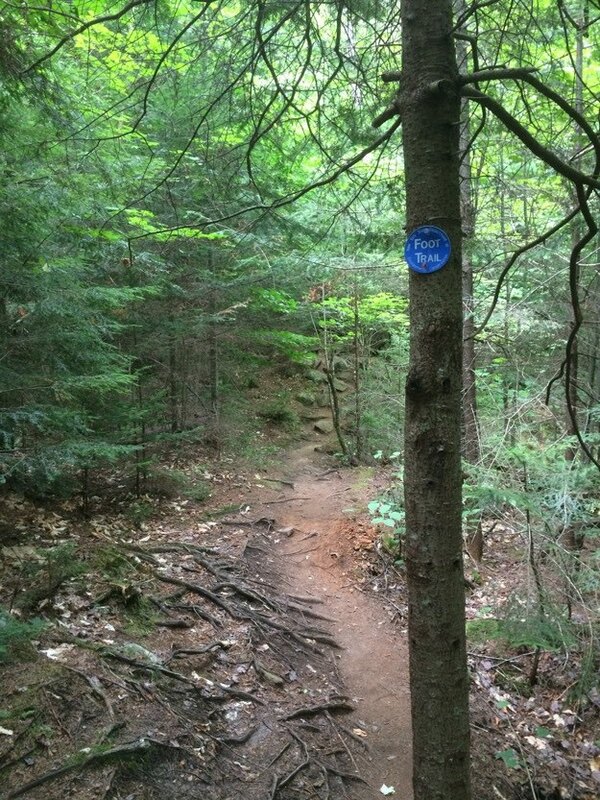 The route is steep right from the trailhead sign-in, heading up a rooty, rocky trail through the woods. 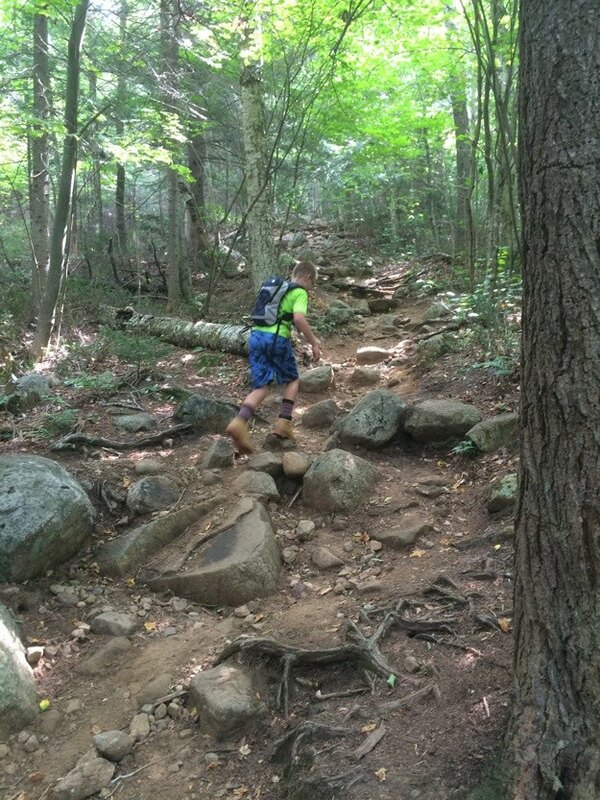 At 0.2 miles, we meet up with a trail intersection. 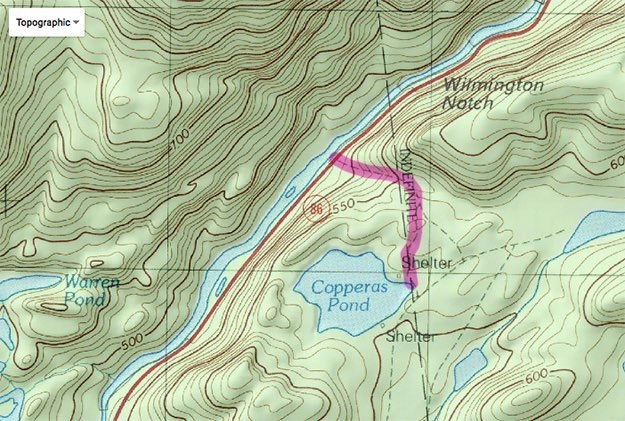 We hang a right to head towards Copperas Pond. The sign, pointing our way back down to the cars, for when we come back this way. 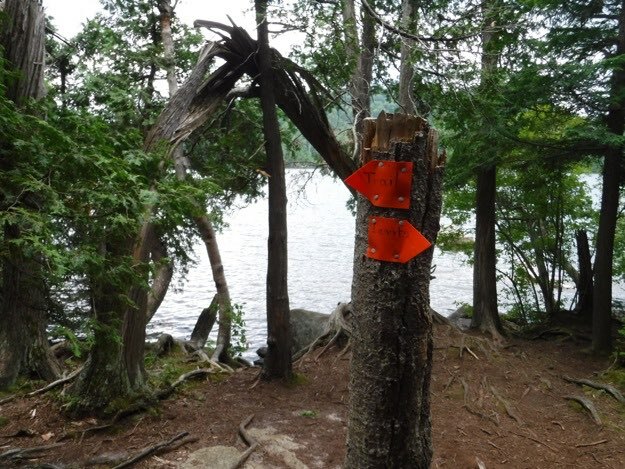 At the lake shore now, there are signs pointing left and right for the shoreline trail. 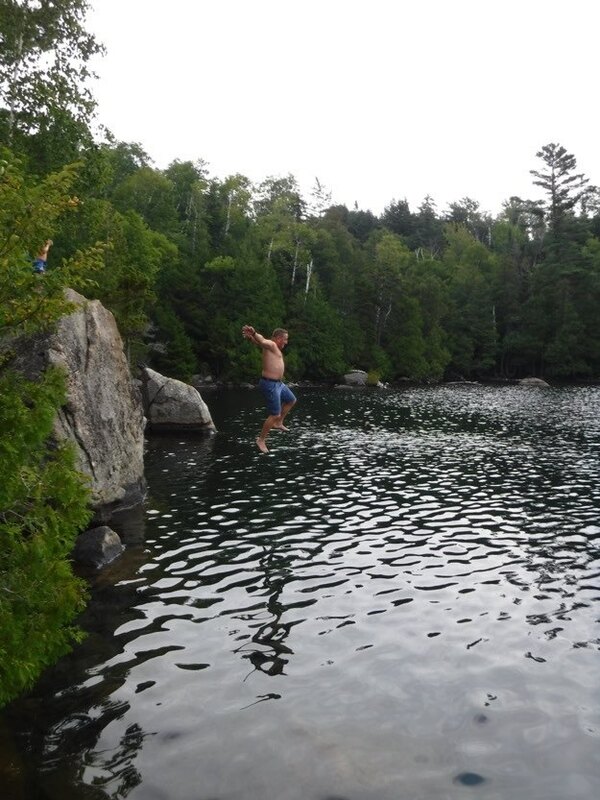 We chose to go right, to the best swimming hole in the Adirondacks. 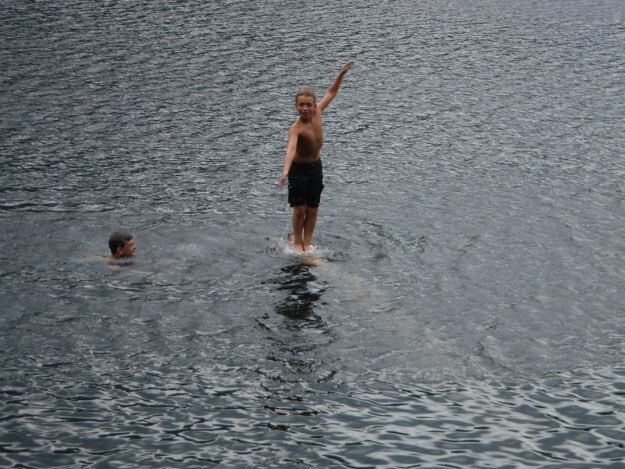 My older son Alex taking the plunge. 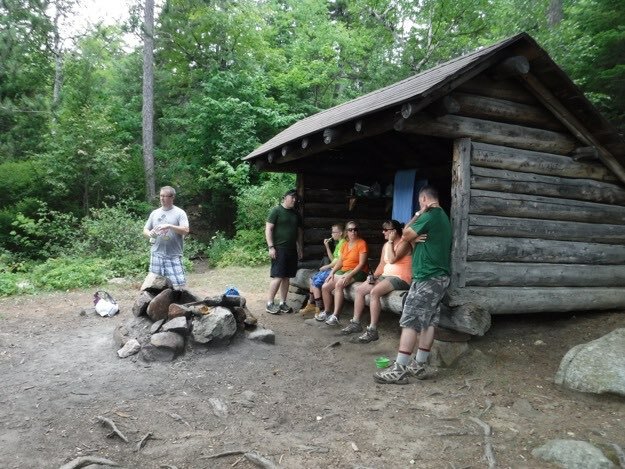 Here, we chill out at a nearby lean-to for snack time, before heading back down to the cars. 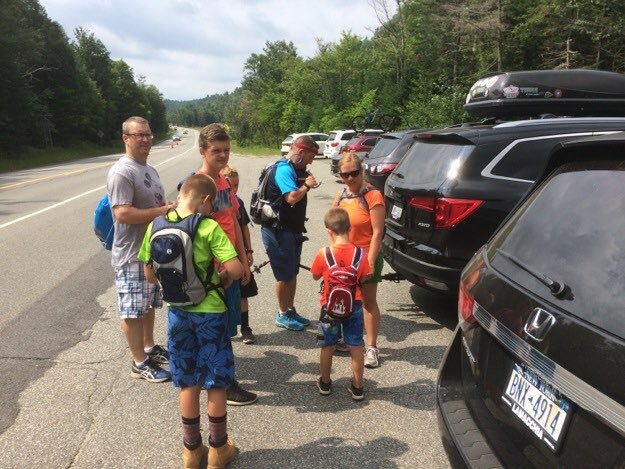 At the trailhead on Route 86, putting on our day packs. 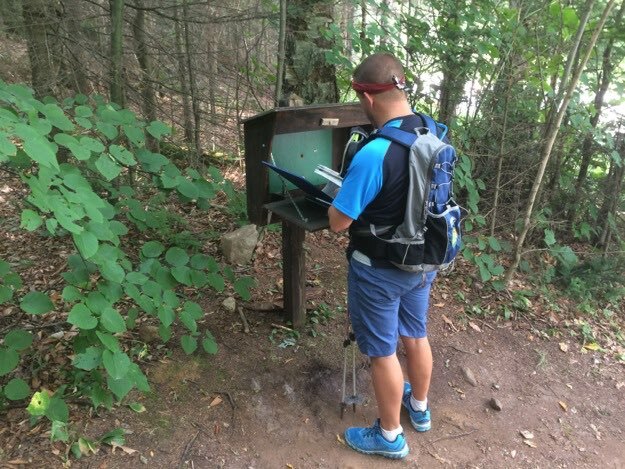 I sign us in at the trail register.